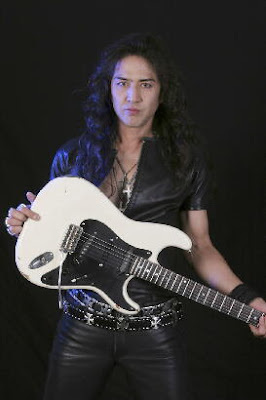 Hideaki Nakama is a neo-classical and metal guitarist who gained fame with the Metal band Hurry Scuary. 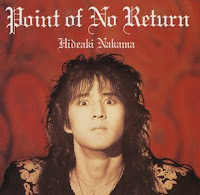 He released a mostly instrumental showcase album in 1989 called Point Of No Return. The CD features seven instrumental tracks, along with two vocal numbers sung by bassist Norio Sakai. Other band members contributing include 44Magnum drummer Satoshi Miyawaki, keyboard player Fumiaki Ogawa and Hiroshi Kondo on bass. Tatsuya Umehara from 44Magnum also makes an appearance on backing vocals. In addition to the nimble fingered guitar work found on his solo album, Nakama's other credits include the 1989 Paul Raymond Project album "Under The Rising Sun" and Raymond's 1994 CD "Raw Material", as well as Anthem's 1990 album "No Smoke Without Fire". Tava atrás desse album há um tempo jah...Hideaki toca muito, valeu msm.